FillerBust, Increases, firms up and tones the bust. 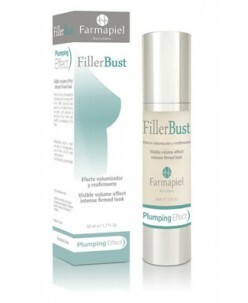 FillerBust presents a new bio-technical and natural gel that brings together different active ingredients which provide a more voluminous, smooth, firm and soft bust, while at the same time improving the look of the cleavage, which due to photo aging cause the appearance of ..
FillerUp is an excellent cosmetic option for a harmonious and discreet increase in volume in the buttocks area and gives feminine curves with firmness, tautness, elasticity and softness. 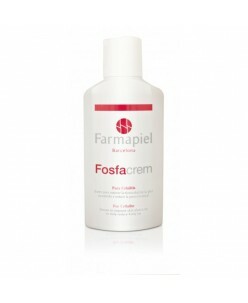 The active ingredients are: Acetyl Hexapeptide 38, DMAE, Physiotherapeutic Combination. Benefits in the buttocks area: The three T syndro..
Fosfacrem is a delicate liposome solution which is an ideal product for the treatment of cellulite and adiposity in any area of the body. For treating cellulite, it should be used by women from puberty onwards with the aim of controlling changes in body tissue resulting from the body's natural reaction to hormonal influence. Th..
Luxurious body lotion with multiple health benefits. The world’s first body lotion to provide GLA by topical delivery. 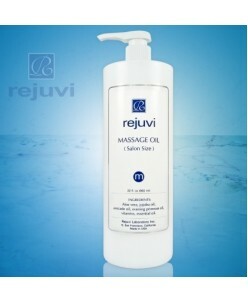 Aloe Vera, Allantoin and Seaweed extracts soothes and nourishes the skin without leaving behind a sticky residue. L Body Lotion helps to overcome dryness and reduces skin irritation. 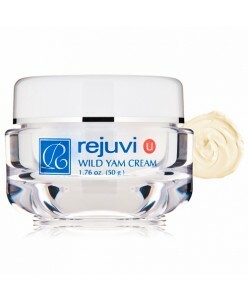 Instantly Absorbed Soot..
Rejuvi U Wild Yam Cream 50g Rejuvi's Wild Yam Cream has multiple health benefits and is advanced endocrine care for men and women. It maintains the balance of the hormone system which can ease PMS, regulate menstrual cycle, aid conception, and reduce hormonal hyper pigmentation and ease menopausal problems. Soybean extract an.. Foot Repair Cream contains sufficient strength of glycolic acid and citric acid at moderate PH value for good skin exfoliation and cell renewal. Vitamin E and retinyl palmitate help restore skin elasticity and resilience . 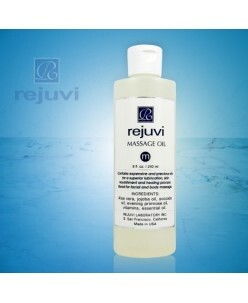 It helps repair dry, scaly and callused skin on heel and feet. It also helps relieve the syptoms of athlet.. Neck or throat skin is thinner than facial skin and has few sebaceous glads. In addition, neck movement causes collagen to wear down more than most facial areas. People take care of face very carefully to avoid aging but neck care is mostly neglected. All these factors result in visible neck aging such as sagging, wrinkles, turk..
Rejuvi U Breast Firming Cream 60g U Breast Firming Cream contains phytoestrogens which maximises blood flow and encourages growth and tightens and lifts the breast. 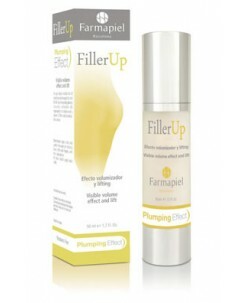 The pueraria mirifica extract helps maintain the shape and firmness. Contains Phytoestrogens to Encourage Growth Pueraria Mirifica Helps Maintain Shape and Firmnes..
Rejuvi z Contour Cream represents a breakthrough in fat reduction. 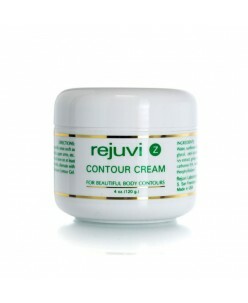 This amazing Contour Cream uses the latest breakthrough technology to combat unwanted cellulite and unwanted body fat. 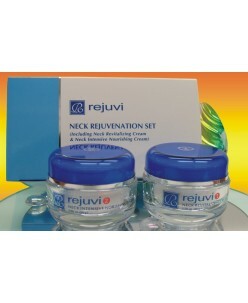 Rejuvi z breaks down excessive body fat and speeds up the drainage of decomposed fat leaving you with slimmer and smoother skin. The unique theo.. 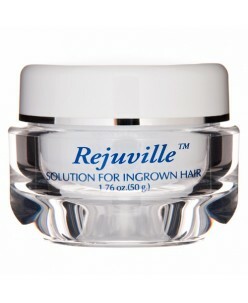 Prevents and eliminates ingrown hair problems- all skin types & both genders. Prevent or eliminate ingrown hair problems such razor bumps, after waxing, shaving, electrolysis or laser hair removal. 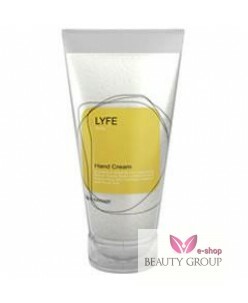 Combines Salicylic Acid, Papaya Enzyme, Pineapple Enzyme and Resorcinol for Effective Skin Exfoliation Combines All..
Roverhair Lyfe hand cream (150ml.) .. Skin Monarch Cleansing gel (10 ml. )Cleansing gel for the daily application after tattooing or permanent makeup procedure mild and soft cleaning of the freshly tattooed skin.Ingredients:Aqua; Alcohol; Hamamelis virginiana (Witch Hazel) water; Aloe barbadensis Miller; Sodium cocoyl glutamate; Dehydroacetic acid; Benzyl alcohol;&nb..
Sundepil hair removal pads is a revolutionary new way to remove unwanted hair. Sundepil provides not only quick and painless removal of unwanted hair but leaves the skin smooth and soft, as you also get a peeling and the skin feels fresh because of increased blood flow. Sundepil make shiny legs create a soft and surface, free of..